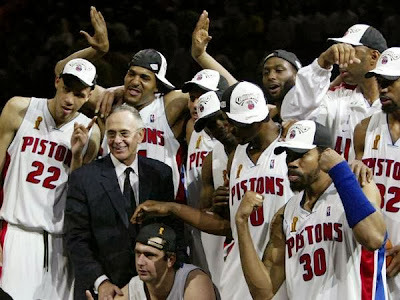 Given that the Detroit Pistons have been around since almost the NBA's infancy, the team has a rich history filled with all types of different uniforms. 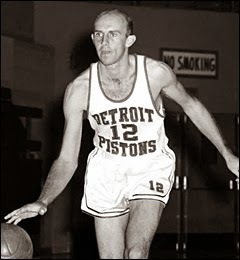 Over the years, there have been times where there were subtle changes made, and in some instances, the jerseys have been overhauled completely. These changes have all left an imprint on the history of the team, and we're going to explore the transformation of these jerseys over time. 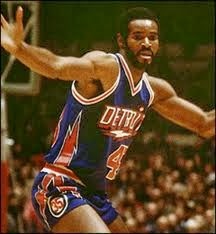 In the 1960's, the Pistons had just moved from Fort Wayne, Indiana and needed a new design for their uniforms. If you haven't seen them before, I suggest you look up those Fort Wayne jerseys/logo, they're simply unbelievable. As you can see, though, there wasn't really a whole lot of creativity that went into these, as they were just simply white jerseys with the team's name on them; nothing to get too excited about. (I do like those Seattle jerseys in the second picture, though). 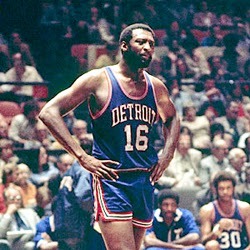 The Pistons started out the 70's with the same lack of creativity that they had shown throughout the 60's, but they really switched things up with the jerseys that they introduced towards the end of the decade. The team would later wear these as throwbacks during the 00's, so they should look pretty familiar to most fans. I'd have to say that those are certainly in my top-2, if not my number one. When the Bad Boys era rolled around, the team decided to ditch the lightning bolt under the team name and moved back to a more traditional look. 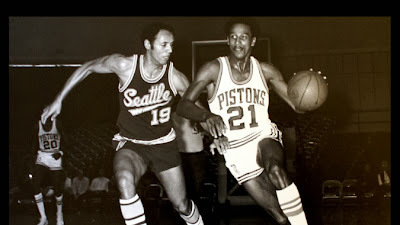 These uniforms remind us all of the days of Thomas, Laimbeer, Johnson, and Dumars all playing a hard-nosed brand of basketball that you just don't see anymore. As far as nostalgia goes, I'd say that these have to be #1. Ah, the teal jerseys rear their ugly head. 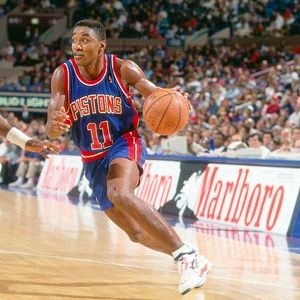 The Pistons got caught up in the odd colors that were popular in the 90's and chose to put together these jerseys that tend to remind people of Taco Bell rather than a basketball team. 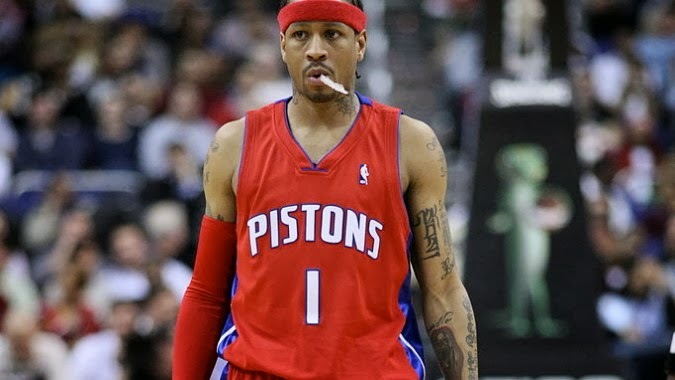 These uniforms are seen all over any list of ugliest uniforms, but I'd have to say that most Pistons fans have a special place in their heart for these terrible, terrible uniforms. 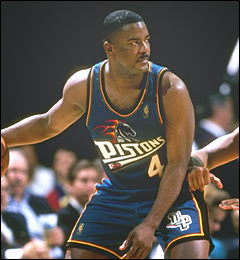 After the teal-colored mishaps of the 90's, the Pistons chose to move back yet again to a more traditional uniform. They had their white (home), and blue (away), and they also threw in a red alternate. I was such a big fan of these red alternate's that I went ahead and bought a Chris Webber red jersey (Yikes). 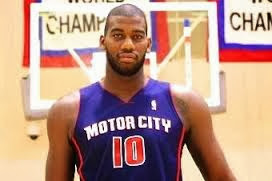 They've stuck with these for quite a while now, and they've also thrown in a "Motor City" alternate to replace the red one. The Detroit Pistons have a history that is littered with Eastern Conference championships and NBA titles, and although their jersey history really doesn't stand out as much as some other teams, it's the winning that matters.